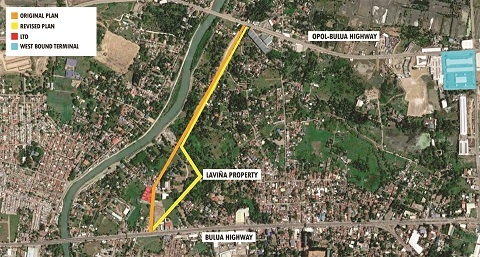 THE public works department revised a plan for a multimillion-peso road project to provide a new link between the main road in Bulua to the coastal road without knowing that it would be to the advantage of former Agriculture undersecretary and now mayoral candidate Jose Gabriel La Viña. This was the claim made by Leowald Pecore, a project engineer at the regional office of the Department of Public Works and Highways (DPWH). Pecore told the city council’s public works committee that DPWH engineers were unaware that the revised plan would make the 30-meter wide road snake through several properties near La Viña’s property in Bulua. He said the decision to deviate from the original plan and build a winding road instead did not have anything to do with La Viña, and it was approved by former DPWH regional director Evelyn Barroso. The director retired in 2017. That the revised plan would be in La Viña’s favor was incidental, Pecore said. “Wala man mi makabalo sa sinogdanan nga didto man di-ay mo-agi sa property ni La Viña. Ayha ra man mi nakabalo nga nag-reklamo na sila si Engr. Balvin ug iyang mga ka grupo,” said Pecore. He referred to Engr. Hilario Balvin who along with Engr. Raul Chaves and Dr. Gracia Salvador brought a complaint to the city council’s committee on public works chaired by Councilor Zaldy Ocon, a politician seeking to keep his post as a candidate under the ticket of Mayor Oscar Moreno whose reelection bid La Viña is challenging. Balvin and the other affected lot owners came for a face-off with the DPWH and La Viña but the former Department of Agriculture undersecretary wrote the committee to beg off because he had more important matters to attend to. La Viña’s April 10 letter however did not jibe with Engr. Pecore’s claim that the DPWH was unaware that the project, based on the revised plan, meant the construction of a road section near his property. According to La Viña, it was the DPWH that called up to inform him that the road project would affect his Bulua property. He also denied that there was intervention on his part. “I interposed no objection for I firmly believe that this will help decongest the traffic in the area,” reads part of La Viña’s letter to the committee. Before the committee, Balvin, Chaves and Salvador complained that the revised road project plan would adversely affect their Bulua properties. They said DPWH did not properly consult affected residents about the revised plan. One of those who complained, Engr. Balvin, alleged that La Viña showed interest because the former Agriculture undersecretary went to see him in an effort to convince him into building a section of road across his property. He said he agreed in principle on the condition that the DPWH would consult affected residents again, only to be surprised later because DPWH sent a group to start the work on his property. Balvin said he stopped the workers, and an angry La Viña allegedly badmouthed him for doing that. 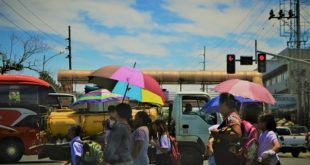 Pecore said the DPWH was forced to change the road plan after many residents complained that the project would damage their houses. He said the original plan was presented to residents during a public consultation, and they initially agreed, supposedly. 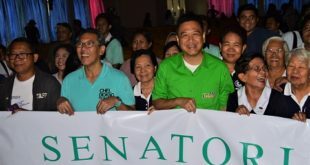 “Natingala kami nga pipila ka adlaw human sa among polong-polong, miadto man sa among opisina ang mga residente kay nag-reklamo sila kay naigo ang ilang mga balay,” Pecore said. The complaints, according to Pecore, were what made the DPWH decide on revising the road plan. The revised plan, he said, would mean not damaging any house during the road construction, and that would bring the costs down. “Apil man balay ug yuta bayran sa gobyerno,” he said.